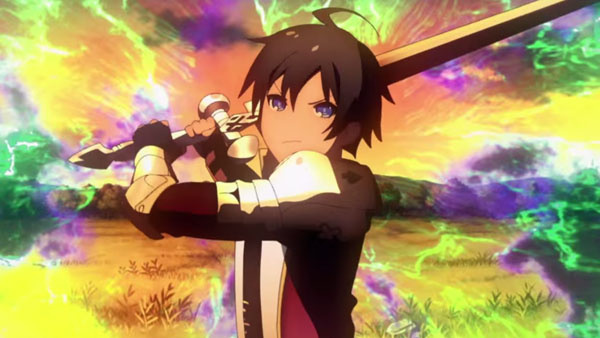 Japanese RPG developer Imageepoch has been in the press this week thanks to the confirmation that its 3DS title Stella Glow is coming to the west, but not all of the news relating to the firm is positive. Kotaku is reporting that Imageepoch's president Ryoei Mikage has gone missing, and that the company's future is in doubt. The firm's main site is - at the time of writing - down, as is its special JRPG sub-site. Mikage hasn't been seen for a while, and Idea Factory president Yoshiteru Sato has gone as far as to tweet his concern. Mikage hasn't posted on his own Twitter account since October last year. To make matters worse, it has been reported that many of Imageepoch's best staffers are leaving the company, and that its offices are up for rent. Kotaku has reported that the company's telephone number is no longer in use. Needless to say, we at Nintendo Life hope that Mikage has "done a Harada" and merely ducked under the radar for a brief period to play some games. I pray for his safety and wish him well. I hope he is both safe and well, and that this doesn't mean the end for Stella Glow. I've wanted that game since it was announced last year. How weird. I hope he is ok. I thought this was gonna be some joke or a PR thing. Hope it's nothing serious. It's not like this industry is like laborers who walk off job sites, not to return, on a daily basis. Missing >since< October 2014? No offense, but, why the news now? I wonder what happened. Hope he is safe somewhere though.May they find him soon!! @MysteriousBebsi He hasn't posted on his Twitter account since last October, not been missing since then. @EllenJMiller Oh, whoops. Misread. Thanks for clarifying. No Stella glow?? Damn it man, Nintendo needs 3rd party support to make it through the holiday rush with no big name titles! Gues they can always rerelease waves 1~4 of amiibos! Was Stella Glow a good game? At any rate the situation sounds a lot more like he's grabbing what he can and bailing rather than taking an unannounced vacation. Wow, fascinating news. These kinds of things always grab my attention. Where the hell would he go? And how long has he been missing? I only learned about this game this last week. @DarkKirby No one knows. It's not out in Japan yet, either. Wow, what the hell could he be doing while he is missing? Lazing around, personal problems, what? I thought stuff like this only happens on TV. Let's hope nothing bad happened and Mr. Ryoei Mikage is well. I guess you've never heard of Jimmy Hoffa. @Quorthon No, I've heard of people disappearing before, but this is weirder. It's like the company already knows what's going on, like they're all in on it. This is kinda creepy... missing.... was it the Yakuza? Jimmy Hoffa is more than just a missing person. He was a powerful individual that vanished under completely mysterious circumstances. It sounds a bit like this, but this stuff has happened plenty of times before. I think it was the Gizmondo game system killed by a run of bizarre behind-the-scenes antics of the people there. I didn't want to go digging for this information, though. I seem to recall something hinting at organized crime. Wow this is very creepy. Well all we can do right now is hope the guy is safe and well. Wow, that's crazy! I do hope he's safe and returns. GET LIAM NEESON ON THE PHONE! WTF is going on in Japan? Hideo Kojima has been missing since March 19, this dude Ryoei Mikage went missing back in October, the hell man. Is the Yakuza THAT bad over there?! Do they need Batman or The Punisher or at the very least Liam Neeson? You win the innernetz today. I know this is serious, but you still made me laugh. Smeggin' brilliant! Maybe we need to send Kat & Ana to investigate. Perhaps we can get Layton on the case as well. This doesn't sound too good, gaming business can be harsh at times. Hopefully he's just hospitalized or something, that's probably a more favorable explanation. @Imagine23 Ahahahaha! That's just great! OAO Oh my god I pray he's safe and well! My heart literally just sank to the bottom of my stomach. This is bad......I hope he's fine and doesn't get killed. @Sakura_Moonlight2421 Literally??? Want me to call you an ambulance? So mysterious! Wonder where he went! Are we sure this guy really exists? He looks like a videogame character. Noooo... I hope this is some elaborate, late April Fools joke. I'm a huge fan of the game "Arc Rise Fantasia" & always thought if I won the lottery I'd invest in getting a sequel to that game so I could play it. I had a brilliant idea for the story too. I really hope him & his family are okay. Am I the only one who has thought he ran away? When people like him dissappears is usually because they stole or evaded money, not because the yakuza/mafia/mobsters/whatever made them go away. More so if the company seems to be closed.